West Ham United have decided to follow the lead of Newcastle United and rename their stadium to showcase the corporate opportunities at the club. Newcastle have renamed their St James’ Park stadium as the “Sports Direct Arena” – the business of their owner Mike Ashley – in a move that has been thought to generate exactly no money and a rather large amount of irritation for the no-coat wearing Geordie masses. West Ham are likely to be just the first of many clubs to follow the lead of the so-called North East’s “Giants” in taking a similar step to rename an historic ground after the business of their owners. 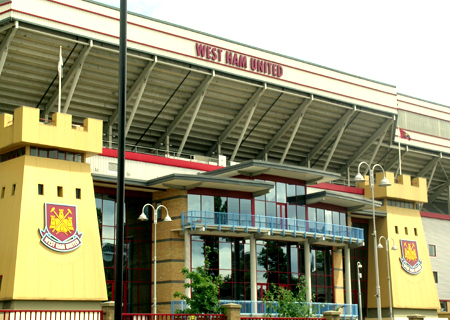 David Gold and David Sullivan have ploughed a lot of their cash into the club since they took over and the new name for the old Boleyn Ground is thought to be the “Ann Summers Budget Wankmag Arena”. Whilst the rest of the country can see the inherent hilarity of the new Newcastle United stadium name, fans in the city actually seem to think that it’s a bit of a compliment, as every family in the North East spends over a quarter of their annual income in Sports Direct shops on Donnay t-shirts, Head golf clubs and five year old tracksuit pants.